Hustler axles, come complete as shown, 3/8" wheel flange and a nice custom reinforcement hub. 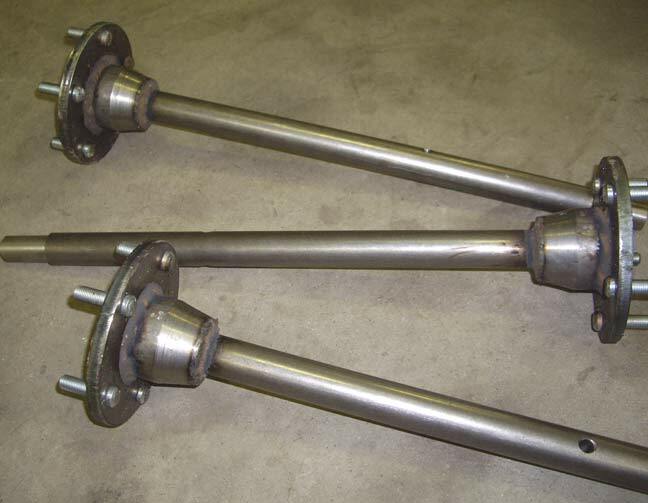 Same 12L14 alloy steel as original axles. quality "press in" automotive grade wheel studs, not cheap welded in bolts.